Quicbraid came in handy here! 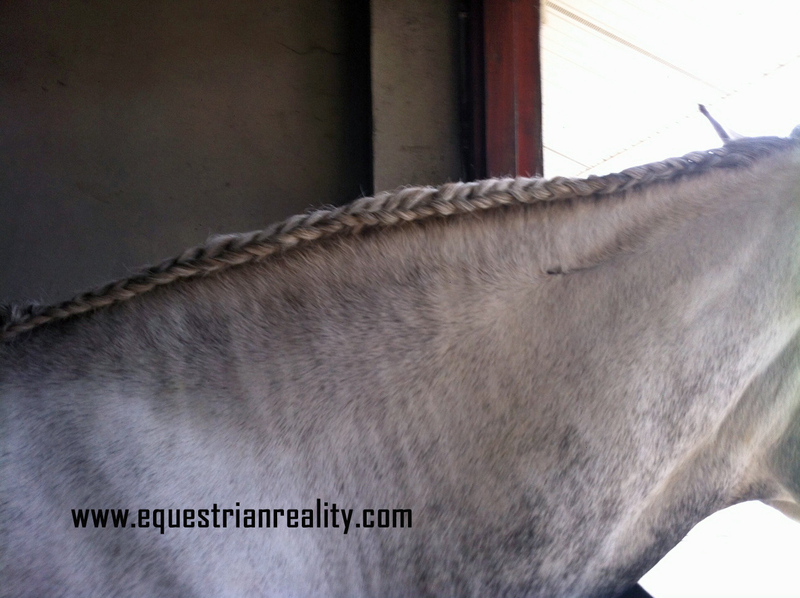 The worst part of sewn in plaits is removing them afterwards. Using a scissors works fine but as you need to get the lower blade in under the thread it can often lead to bits of hair being lost – not a big deal in a huge thick mane but a problem if a mane is already on the finer side. Thread pickers cost just a few euro (I got mine in a stall in the RDS but you can pick them up in any haberdashery or sewing supplies place. 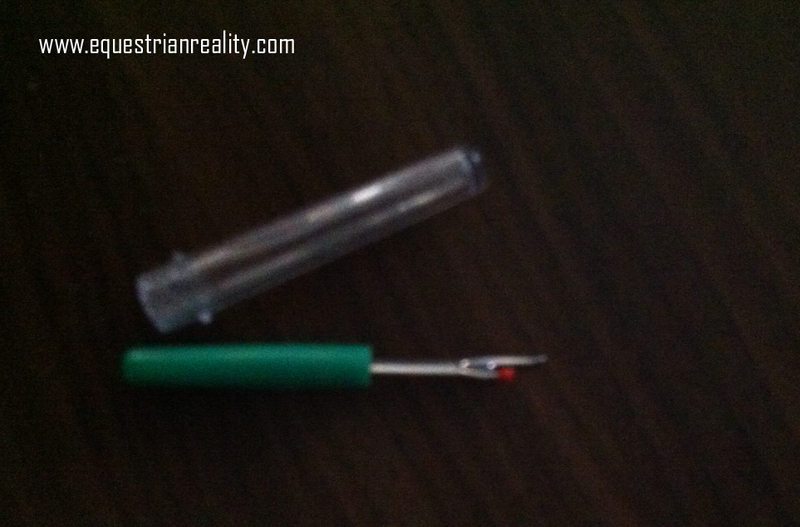 Stick the little sharp end under the thread, push up and its cut. Since using this instead of a scissors I’ve found it much quicker and easier to remove plaits without accidentally removing or breaking any hair. 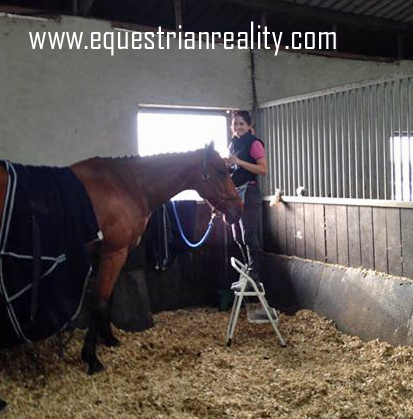 Do mind your thumbs as it is easy to nick them (I’ve done mine a few times when a horse moved!) but I would argue this is still a lot safer than a sharp scissors too. If I am sewing in plaits I use these in the end of the plait before I stitch it in and if I am just doing normal plaits I use these for budding them. 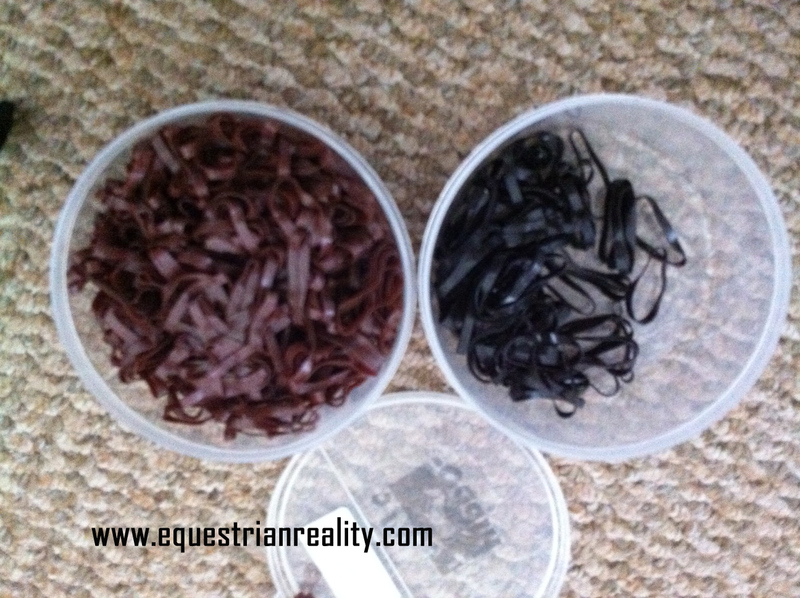 Silicone bands make getting to the end of a plait only to have a rubber band snap on your fingers a thing of the past. These bad boys just don’t snap! I have them in black, white and chestnut and after using them for a few years I won’t go back. 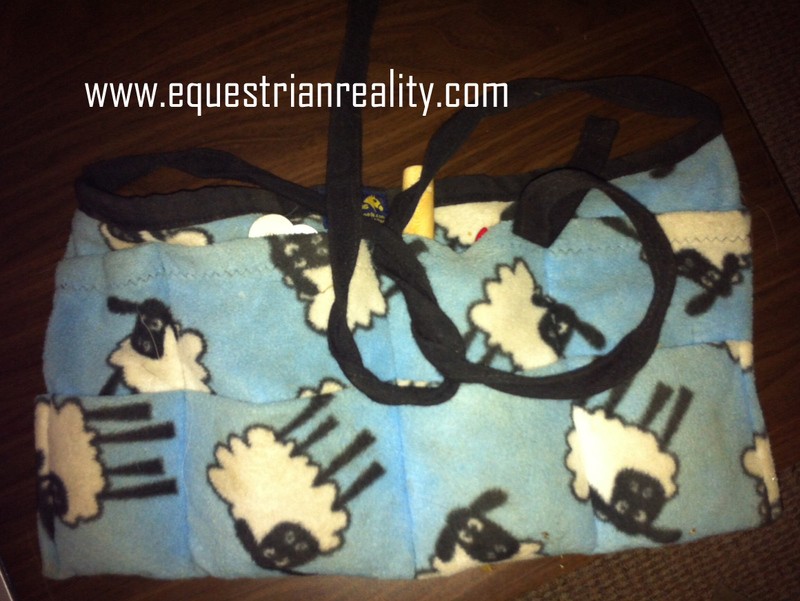 If you are sewing plaits you can stitch through these bands several times without fear of them breaking. 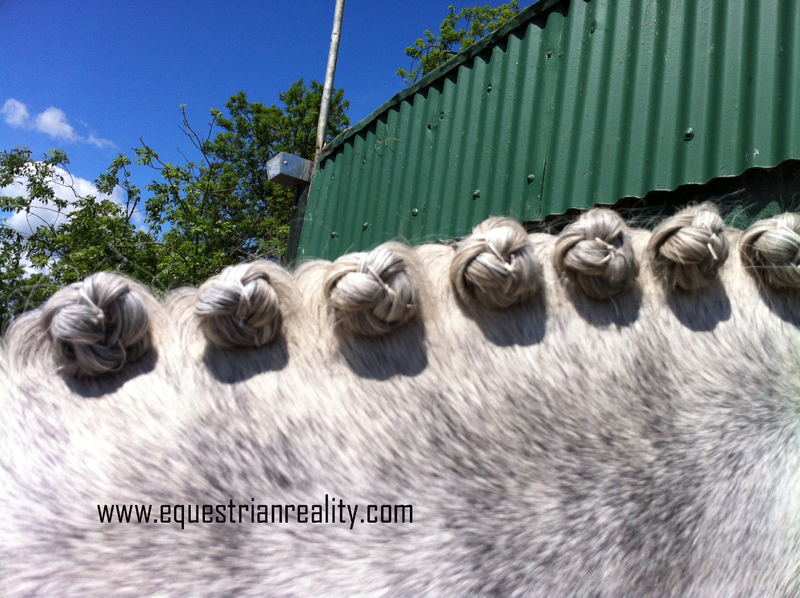 If budding plaits with bands you can stretch these bands to get them around a second or third time without them snapping. 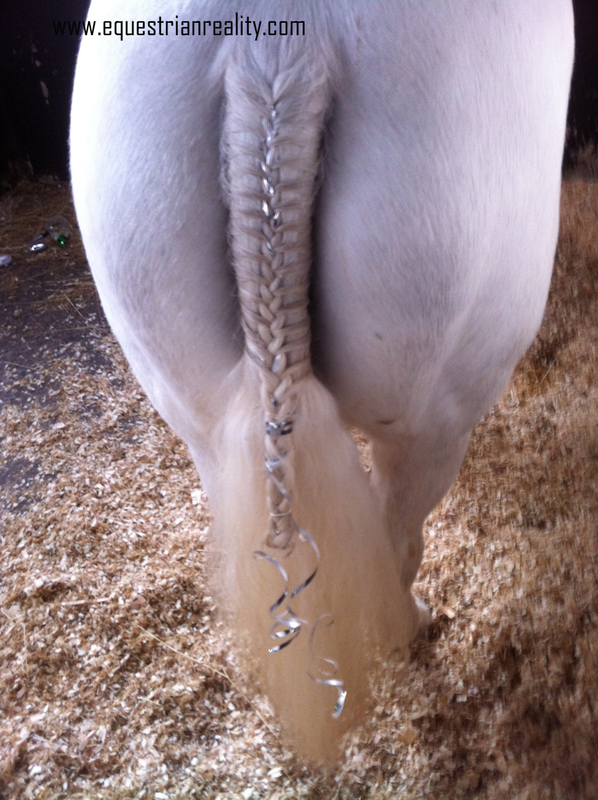 It’s all fun and games plaiting a big thick mane…until you have to remove them after! 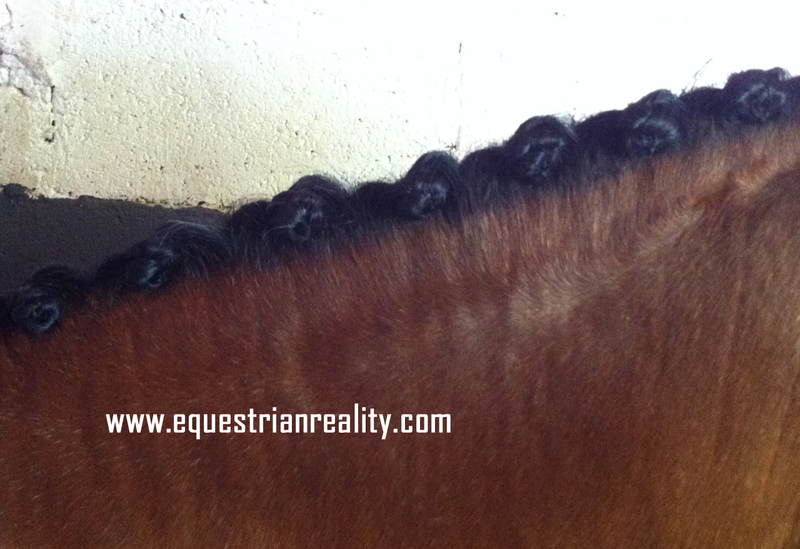 While I use Quicbraid to plait down I still use a bit of gel or hairspray to finish off plaits. 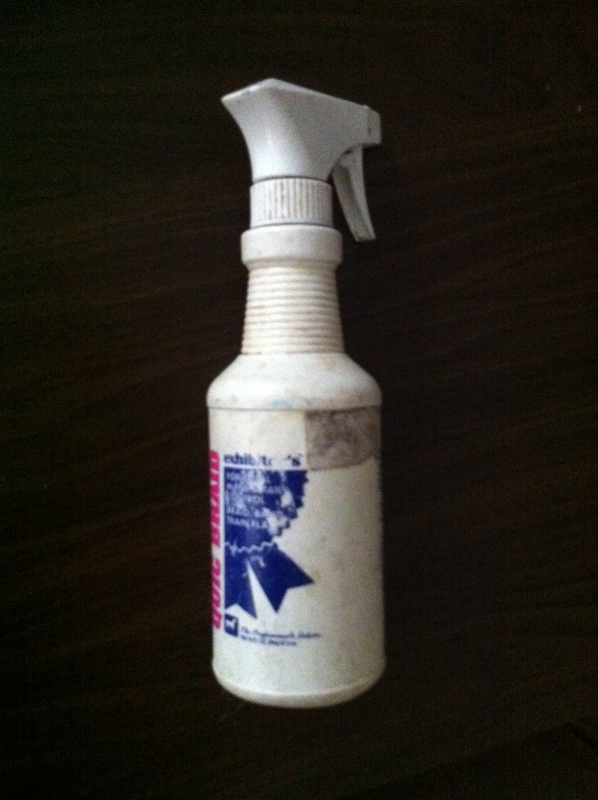 For horses that are not keen on sprays, gel is often a better idea (it also doesn’t go as hard and sticky as spray does). Just put a pea sized amount onto your palm, smooth between them and then cup your hand gently over each plait to apply the gel and keep fly away hairs in place. Price wise I have found that gel from the pound shop works just as well as gel from a chemist. 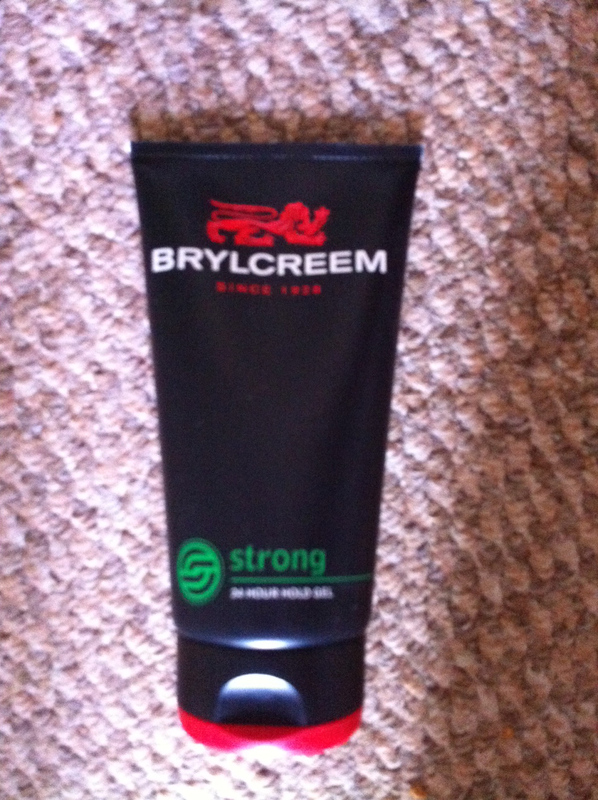 Unless you are from the ‘Ross from Friends’ school of application a tube of gel will last for ages. 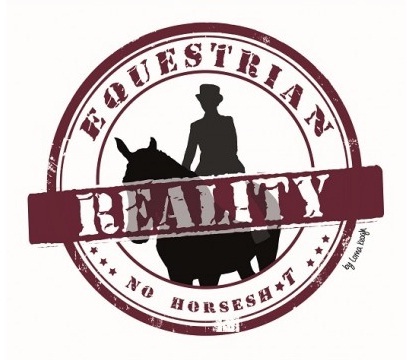 Posted on July 2, 2014, in Equestrian Photos, General, Grooming / Plaiting, Showing, Stable Management and tagged arab plait, Horse, horses, horses manes, plaiting, plaiting a horse, plaiting apron, plaiting bands, plaiting help, plaiting tips, plaits, quicbraid, running plait, sewing in plaits, show preparation, showing, silicone bands, snuggy hoods, snuggy hugs plaiting apron. Bookmark the permalink. Leave a comment.